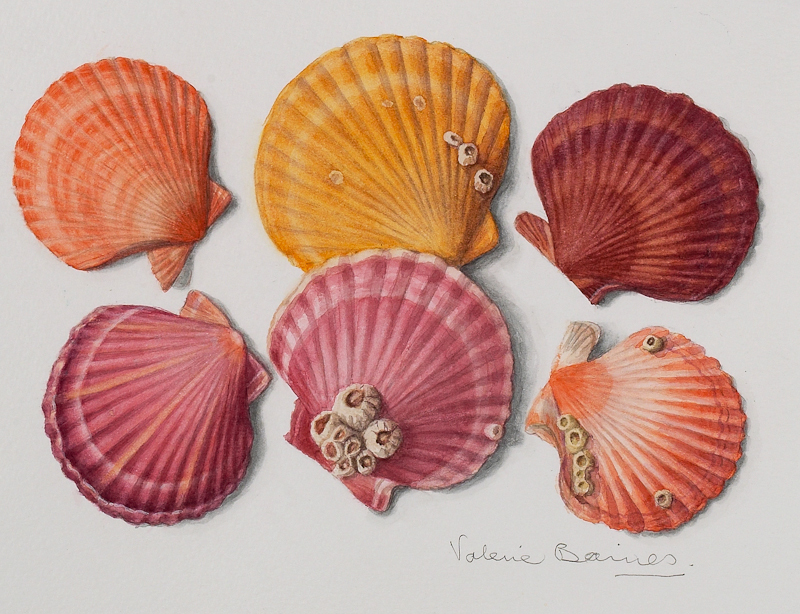 These four watercolours by Valerie Baines (only one of which is shown here) are just a fraction of those illustrated in her recently published Guernsey Sketchbook. Valerie Baines has visited the island for over 40 years, painting the views and subjects which captivated her. 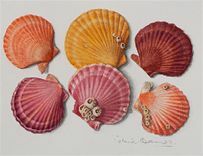 This well recognised artist and illustrator, whose paintings have been exhibited worldwide, is a fellow of the Linnean Society and former Vice President of the Society of Botanical Artists. The Museum is delighted to have the opportunity to display part of the Baines collection as this month's Artwork of the Month. Guernsey Sketchbook is now available in the Museum shop.